While "reading" a new client correctly can be challenging for sales executives, it's also mission-critical. Learn ways to build solid customer relationships by understanding behavioral factors, contextual cues, and preferred working styles. People buy from people they like. This is true generally, but particularly so in business-to-business selling, where building trust-based relationships has long been the foundation of sales success. Yet, as the pace of business decision-making accelerates and competition intensifies, there are fewer opportunities—and much less time—for sales executives to develop these relationships. Which invites the question: How can one make a positive and lasting impact right out of the gate? Those who have worked at major corporations are likely familiar with tools and methods that seek to quickly and accurately define personality types. The Myers-Briggs Type Indicator, arguably the most famous of these diagnostic tools, was developed in the early 1900s based on the work of psychologist Carl Jung.1 Today, the field is awash with alternatives, from DiSC to FIRO-B, Social Styles, and StrengthsFinder. The process and objective are similar for all: to better understand human behavior by grouping individuals based on personality traits such as consistent patterns of behavior, motivational drivers, and social preferences. Most often, organizational leaders use these models to help develop more effective working teams. But how does one assess the personality of someone outside of the controlled environment of an individual company? Sales executives can’t ask a customer to take a test—or at least, probably shouldn’t! At Deloitte, we’ve been examining this issue and have in response developed our own tool, called Business Chemistry. While it still categorizes individuals into four primary types—drivers, guardians, integrators, and pioneers2 (see figure 1)—it can also be used as a springboard to incorporate behavioral factors and contextual cues. In this way, it can provide outside-in analysis that extends its applicability from talent management evaluations and team-building considerations to exploring how this knowledge can improve inter-organizational relationships, such as the buyer-seller relationship. Being able to quickly and accurately predict what makes someone tick is critical to building a lasting relationship with them. In this article, we’ll walk through that process. And while we use Business Chemistry as the foundation for our work, we’d stress that these techniques can be applied independent of (or in conjunction with) other tools. In short, we’ll show how to quickly determine a person’s Business Chemistry type based on behavioral factors and contextual cues, understand the cognitive biases most prevalent for each type and how they are likely to influence decision-making, and how to use this knowledge to tailor communication styles and frame proposed solutions. Whether a first interaction with someone is going to be virtual or face-to-face, there are many ways to get to know customers beforehand. Online tools such as LinkedIn, Facebook, and corporate website profiles reveal background information, such as their academic and professional achievements, but they can also hint at their personality and preferred interaction style. Do their summaries focus strictly on work or do they mention outside interests? Are they detailed or to the point? Also look at email communications. For example, if emails are short and direct, there is a good chance they are a driver. However, depending on the person’s age or industry, emails and online summaries can be deceptive. Some people, particularly older customers, or those in certain industries, may not as be as chatty or descriptive as others. Additionally, some companies have strict guidelines about online profile content. So, while it is good to do one’s homework, don’t rely too much on this information. As with all relationships, the real action starts with the first live meeting. Successful sales executives tend to err on the side of caution, often starting “in the middle” then flexing toward one type or another based on how a client’s work style shows itself throughout a conversation. Based on feedback from our own sales executives’ field observations, provided in figure 2 are some insights for what cues to look for to help identify which Business Chemistry type someone is. Now that a sales executive has identified their client’s Business Chemistry type, how should they adjust their interaction style to align with that of the client? Figure 3 provides some general guidelines based both on the Business Chemistry literature and sales executives’ experiences. Beyond helping us form the relationship and interact better, understanding the Business Chemistry type of decision-makers also provides an idea of what cognitive biases—systematic deviations from seemingly rational judgment4—may come into play when they are making decisions. Drawing from the behavioral science literature, below are some common decision-making biases clients may fall prey to, as well as which types are likely to be prone to each bias. An action mind-set is the frame of mind a person is in when they are called upon to act. There are two phases of action mind-sets: deliberative and implemental. When individuals are in a deliberative mind-set, they are more receptive toward new ideas.5 Guardians are likely to stay in the deliberative mind-set phase for a long while before moving into the implemental phase. Drivers, meanwhile, are likely to move quickly through the deliberative into the implemental phase. While recent Deloitte research suggests there may be opportunities to move clients back to a deliberative state from an implemental state,6 given drivers’ decisive natures, realize that moving them back may be difficult. Conversely, while pioneers may also move quickly from the deliberative phase to the implemental phase, they are more likely to move back and forth between phases given their tendency to follow their guts and easily pivot if the situation changes. Like guardians, integrators may stay in the deliberative phase longer before moving to the implemental phase. However, integrators may also exhibit the propensity to move fluidly back and forth between phases, and can change their minds based on input from various stakeholders. How should a sales executive adjust to work with these different work styles? When dealing with drivers, come forward with “ready-to-go” solutions along with alternative options that could be quickly deployed. When working with guardians, be ready to revisit and revise the proposed solution until it lines up with their vision and priorities. With integrators, also be prepared to not reach an ultimate verdict in the initial meeting; for them, though, the next steps may require gaining additional buy-in from other stakeholders, as well as collaborating with others before signing off. For pioneers, brainstorming sessions—possibly many—are likely to be an integral part of the process. Another behavioral concept to consider is determining which types of information clients care about. This information can include factors central to the solution and the decision being made, called central cues, or those tangential to the message, known as peripheral cues. Peripheral cues can be nonverbal (for example, a seller’s handshake or eye contact), or verbal communications tied less to a message’s content and more to its style (for example, the time spent building rapport, how the message is delivered, and the path taken to get to the point of the discussion). Psychological research suggests that people are persuaded by both types of information: that which is directly relevant to the decision being made, and extraneous or seemingly irrelevant information.7 The challenge for sales executives is understanding which peripheral cues matter to each Business Chemistry type. While drivers may seem to focus primarily on central cues, wanting to stick to the main points and avoid tangents—particularly in the early stages of the relationship—that doesn’t mean they turn a blind eye to other factors. For them, the peripheral cues that may catch their attention would likely have to do with whether they sense the sales executive is competent and confident (for example, good eye contact, punctuality, a firm handshake, and limited use of qualifiers). Integrators, however, take more of an interest in learning about what makes the person across the table from them tick: their interests, their passions, and/or people they may know or have worked with. Given pioneers’ penchant for innovative thinking, they are also more likely to be interested in and attuned to peripheral cues. While the cues they focus on may seem tangential at the time, they may later draw upon that information during brainstorming conversations, as nuggets that could lead to out-of-the-box solutions not yet considered. Finally, guardians may cue into factors that signal whether a sales executive is thoughtful and thorough (for example, if they brought with them detailed background information). For customer relationship building, it’s also important to determine when to focus on which aspects. This may have to do with the preferences of the primary decision-maker (for drivers, central cues or facts first, small talk or peripheral cues may occur later; for pioneers, the reverse), the type of meeting or phase in the process (some phases are about getting down to business, others are more about building rapport), and which additional stakeholders are involved at each stage. Much as the staunchest driver would deny it, we are all influenced by our history and environment: our backgrounds, where we live, who we work with, and our industry sector. These pervasive ecosystems influence our thoughts, opinions, behaviors, and decisions.8 With this knowledge, sellers must not only strive to understand the work styles of the individuals they are calling on, but also the overarching cultures of their organizations. Just as different types may be drawn to New York vs. the Midwest, so, too, might different industries appeal to different types. However, just because an industry might have a certain “personality,” such as a tech start-up having a “pioneering” spirit, that doesn’t mean there aren’t other “hidden” types within the firm, such as guardians and drivers. Savvy senior executives will surround themselves with a mix of types to help accomplish their various objectives. "A lot of this is about comfort level—what is most comfortable for you to do? It is like sitting in a comfortable chair you have already broken in . . . That is the same thinking people apply when presented with new products or services." Another common decision-making bias is the status quo bias—the tendency to stick with the current state of affairs instead of embarking on any sort of change.9 This bias comes into play, for example, when an unsatisfied customer stays with the same vendor, product, or service, choosing not to consider alternatives. Our analysis suggests that falling prey to status quo bias is particularly prevalent for guardians and a concerted effort is likely required to get them to consider new options. How to combat this? Consider asking the client to share some of the things their current provider is doing that they value. Then, challenge these clients by also asking what other things they wish their provider would do. This can open the door to other opportunities. Sales executives should continue to dig deeper through questioning to fully understand what is causing the aversion to change. Often, it is a desire to avoid a potential risk, which leads to our final cognitive bias consideration. "I see the integrators always punting the decision to their team, then saying ‘we’ did this. Whereas drivers want to take the risk and be the risk-taker, saying ‘I’ spent $4 million and ‘I’ did a great job. Pioneers are similar . . . the stronger the pioneer, the greater the willingness to take risks." Loss aversion suggests that many people are more concerned about avoiding bad outcomes than achieving new heights.10 But how do clients define a bad outcome or perceive a salient risk? While financial or performance risk may be top of mind, these aren’t the only risks people care about. Understanding what clients are trying to avoid can prove invaluable to not only closing the deal, but closing it in a timely fashion. Sales executives need to ask the right questions to understand and determine which risks are keeping each stakeholder up at night. A failure to do this work can result in the following response: “Well, it is just not the right thing for us (right now).” This finding is consistent with the behavioral science literature, which suggests that the greater the perceived risk, the slower the adoption of a new innovation.11 Guardians are the most risk-averse, drivers care primarily about performance risk (the likelihood that the solution will not perform as anticipated), integrators care most about social risk (the probability that other important stakeholders will not approve),12 and pioneers are the least risk-averse. Yet, even when dealing with a pioneer, business decisions are rarely made in isolation; at some point in the selling process, sales executives will have to ensure that they are addressing any and all salient risks. We’re not suggesting personality and work style assessments are infallible. Everyone is unique, and we’re all driven by motivations and biases the most exhaustive analysis may fail to uncover. But we’ve found Business Chemistry to be a robust way of identifying people’s behavioral tendencies. Drawing upon these findings, our sales executives’ insights, and behavioral economics lessons provided in figure 4 are what we perceive as the top three cognitive biases each type is likely to fall prey to—and the strategies that can be used in response. Gone are the days of strictly one-on-one business relationships. While in the end there may be one person who “holds the keys,” increasingly there are multiple stakeholders involved in decision-making. What each individual wants, in terms of supporting materials and next steps, varies; a driver would likely ask for different follow-up actions than would an integrator. Sales executives must build a relationship with each person, and tailor the follow-up to ensure that all stakeholders feel like their needs are being addressed and they are part of the decision. Internal communication and coordination are critical. While understanding the preferred work styles of clients is critical, equally important is understanding the strength and skills of one’s own team. This will provide opportunities to leverage the team’s abilities while moving through the relationship-building and decision-making process, and help other team members capitalize on what’s known about the client and not have to start from square one (or undo any impressions or efforts the primary client contact has already made). Understanding one’s own strengths, weaknesses, and proclivities is key. As one sales expert explained, sometimes that could involve having a team member—or team members—accompany the sales executive, or even take their place for certain meetings. “I know myself,” one sales executive said. “I am emotionally easy to read—you can see when I am upset, which, in some cases, could throw off the dynamic of a meeting.” Self-aware relationship managers know when their absence is more powerful than their presence. While a pioneer may be willing to take more risk, and drivers may be laser focused on performance, our experts are observing more and more of the integrator traits emerging in meetings with clients. This is consistent with the strategic trend for C-suite members in general to be more collaborative13 and recent research suggesting CFOs should strive to be “catalysts” and “strategists,” as opposed to merely “operators” and “stewards.”14 So today, instead of serving as the sole negotiator, a CFO who is clearly a driver is more likely to “change up” or flex to give his or her team a chance to weigh in on decisions. A journey of a thousand miles begins with a first step. Starting the relationship on the right foot by connecting with the client right out of the gate is important. Like all relationships, there will be missteps, and things will not always go smoothly. But by taking the time to understand a client’s work style, biases, and preferences, the path should be much smoother. An understanding of the client's work style can be leveraged throughout the life cycle of the relationship; it should never be thought of as a tool to unduly influence or persuade the client. Rather, the hope is that knowing this information will lead to more productive communications, interactions, and value. The end goal should remain that of creating long-lasting, strong, trusting, and mutually beneficial partnerships. 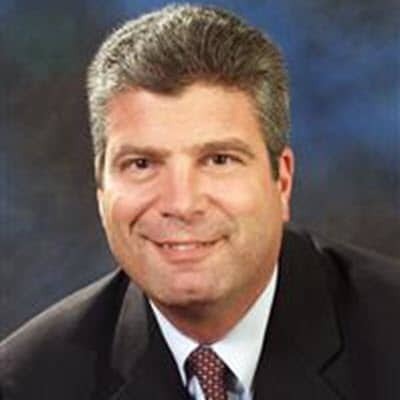 Robert Rosone is a managing director and a leader of Deloitte Growth Enterprise Services, which is focused on serving mid-market and privately held organizations. He is based in Parsippany, New Jersey. 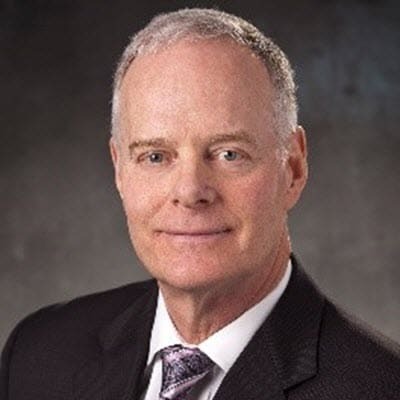 Rusty Lowe is a client sales executive with Deloitte Services LP’s Deloitte Growth Enterprise Services division. He is based in Atlanta, Georgia. 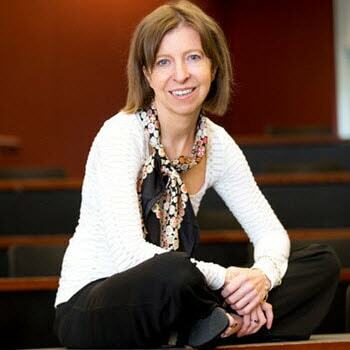 Susan K. Hogan is a research manager with Deloitte's Center for Integrated Research. She is based in Atlanta, Georgia. The authors would like to thank Ron Goldman, Greg Hawes, RJ Lemieux, Stewart Newton, and Gayle Proctor for their invaluable insights and John Lucker for his prior eminence work, which served as inspiration for this paper’s research angle. They would also like to thank Karen Edelman, Lori Gallagher, Geri Gibbons, Junko Kaji, Monika Mahto, Emily Moreano, Derek Pankratz, Selena Rezvani, Hemnabh Varia, and Suzanne Vickberg for their contributions and support. You had me at hello: Leveraging behavioral factors and personality cues to improve customer relationships has been added to your bookmarks. You had me at hello: Leveraging behavioral factors and personality cues to improve customer relationships has been removed from your bookmarks.